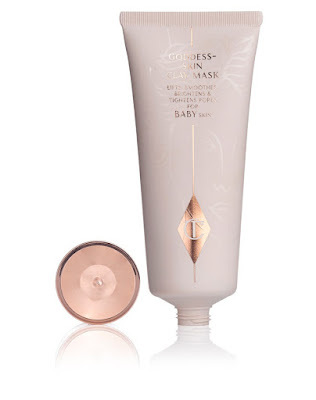 Morning ladies, now you all know it's no secret that I've become a massive Charlotte Tilbury fan, so when I was able to choose a couple of samples with an online order I instantly choose her Goddess Skin Clay Face Mask as I was intrigued to see if it was as good as her make up. For the past few years I've been a total devotee to Dermalogica's Medibac Sebum Clearing Masque, as having always suffered from the occasional breakout this seems to have kept my skin in check & I haven't wanted to risk trying something new that might unsettle it. But having loved the feel of Charlotte's make up on my skin & being so impressed by her products, not to mention that clay face masks seem to be more of a rarity these days I thought it worth a shot. 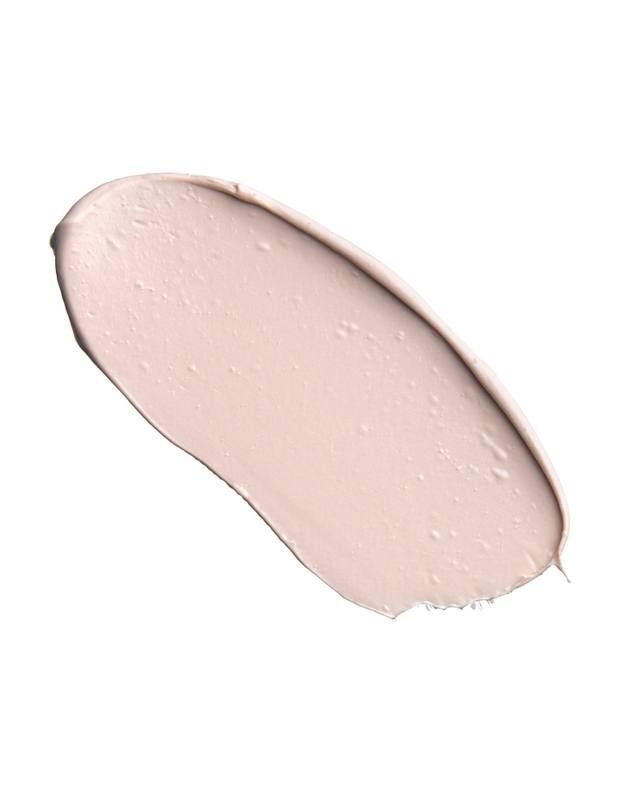 Now if you read the description on her website Charlotte states that the clay mask will leave your skin 'moisturised, dewy & glowing whilst tightening your pores & clearing imperfections'. Applying the product couldn't be easier, you simply apply a generous layer all over your face to cleansed skin, avoiding your eye area & massage the product in as you apply. Then leave the product for 10 minutes before washing off with a warm flannel/muslin cloth. So how did I find the product - well if I say that after trying the sample & seeing the instant results on my skin I immediately ordered the product online, I think that's the best way to sum up how impressed & amazed I was - in fact even the hubby noticed! Now I'm always wary of claims by beauty products & how they claim they're going to make a difference to your skin. In fact I never expect to see an immediate result as I tend to think that these things will improve slowly over time after a few applications but this clay mask instantly brightened & smoothed my skin & yes there was a bit of a glow too. Back to clothes & here's what I'm wearing today. A quiet day for us with just the dog to get to & from the groomers for his hair cut & luckily not a great deal of snow just a very light covering on the rooftops. How about you have you woken up to a blanket of white stuff this morning & hoping tomorrow will be declared a 'snow day'?! So ladies has anyone else tried Charlotte's Goddess Skin Clay Mask? If so I'd love to hear your thoughts & if not what treatment do you swear by? I have to say if your skin is feeling a little tired after all the partying/late nights from Christmas & New Year then I'd highly recommend giving this a go as it instantly gave my skin a real boost & trust me a little goes a long way - I can see my tube lasting a good few months & I'm planning on using it twice a week. As always I love reading your comments & in the meantime if you're intrigued to see what other beauty products I'm using you can see my full routine here. You'll have to let me know what you think Ally but I'm totally in love with it. It also might be worth seeing if they have any samples behind the counter so you can try it before you buy. Oh wow Sheryl what a clever idea. Where do you buy the powder from? I'd have never of thought of trying to make my own. Also how do you use it instead of the painkillers? I always like the idea of more natural pain relief. It must be awful being so allergic to Ibuprofen & must make you very nervous about using any over the counter pain relievers. I'm guessing the bottom end of Worcestershire is still without snow this morning.....it's got to arrive at some point surely?!! We're hoping for a snow day here! I brought it orginally on amazon, i have noticed that the price has gone up now, probably due to it becoming so popular but it is still only £10 for 500g, i orginally paid £5.75 but the postage is free it comes from portugal. for pain relief you make a poultice with clay and water then cover with gauze or bandage, leaving it for a couple of hours but not letting it dry out. Ok great thanks for the heads up Sheryl I shall have to add this to my list of things to try & like you say you can't complain at £10 for 500g. Hope you're having a great start to the week.